A highly acclaimed strategist and results leader in organizational performance. From executive teambuilding, strategy development and execution, to individualized coaching, performance improvement and knowledge retention, Kevin has been incredibly successful in delivering results and measurable value to his clients in this critical environment. Mr. Leonard advises top management and Boards on a wide range of issues and is a trusted advisor in personal and professional growth. Companies of all sizes, Owners, Executives, Boards of Directors alike routinely ask Kevin to take them to the next level and conduct highly sensitive organizational assessments to determine the status of their companies and the business environment they compete in. His experience ranges from being a Military Policeman in the U.S. Army to launching several successful businesses and providing guidance to dozens more. Kevin is a constant self-developer and servant leader who continuously reaches beyond conventional strategies to find success. He has experience in the trenches and is a Top 1% producer in career real estate sales nationally. With such an extensive background, Kevin has the experience to relate to your organization’s specific situation. Mr. Leonard currently sits on the board of directors of KGFN Radio Inc.; he is a registered management expert with the MBA Depot; he is also a Panel Member at The National Academies, Advisors to the Nation on Science, Engineering, and Medicine; and is the 2012 recipient of the Federal Highway Administration’s Innovative Use of Technology Award. 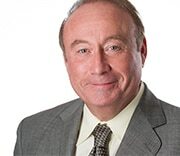 Mr. Leonard’s mastery includes a diverse entrepreneurial, executive management and business-technology integration background spanning four decades with substantial credits in Executive Coaching, Employee Training, and Business Consulting including the creation and implementation of high performance business models. When Kevin is not spending time with his family and helping others he plays competitive softball, likes to travel, enjoys movies of all kinds, eating good food with friends, and driving fast and fine automobiles! A skilled facilitator, leader, and catalyst for change, Kevin has built an impressive client list of great companies of varied size in most business sectors. Are you and your company his next success story?